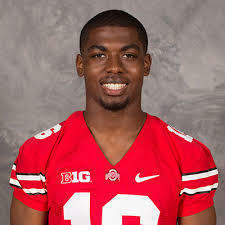 Barrett has been suspended for one game after he was stopped at a Columbus police check point early Saturday morning. He will be arraigned Friday. Coach Urban Meyer says Barrett will forfeit his summer financial aid as part of his punishment. Ohio State quarterback J.T. Barrett says he feels alright following surgery this week to repair a fractured ankle.